Read EnviroReporter.com’s May 1, 2009 comments to DTSC on the OB/OD closure here. What a difference a $46 million cleanup makes! Aerojet Chino Hills would already be covered in upscale homes without our investigation that uncovered unexploded munitions, depleted uranium and toxic fuel oxidizer perchlorate problems at this former military industrial plant. The Aerojet Chino Hills facility is 29 miles (45 km) east-southeast of downtown Los Angeles and has been the subject of much heated debate due to the intense contamination left there from Cold War Era activities. Note that while development abuts the facility, Aerojet Chino Hills still looks much like it did during the go-go years of munitions and defense industry testing. Cleanup activities began in 2000 at the site seen here on WikiMapia. The site remains a stark reminder of past polluting. The area became the focus of recent attention due to a magnitude 5.4 earthquake that occurred at 11:42:15 am PDT on July 29, 2008, which was felt for hundreds of miles around but caused relatively minor damage as noted on Wikipedia. The epicenter of the earthquake was less than a mile away from the Aerojet facility and occurred over eight miles underground. That May 18, 2000 Orange County Weekly cover story was called Russians, Rockets, and the Santa Ana River. Before Collins’ coverage of Aerojet Chino Hills, the issue of this heavily-polluted site strewn with unexploded ordnance was only covered in a small local paper. Few folks, even government officials, even knew about the place. But Collins did and began to investigate the facility. The $46 million cleanup figure comes from Aerojet in September 2006, according to the local paper – the number now could top $50 million as remediation continues. This reporting, now partnered with EnviroReporter.com’s Denise Anne Duffield, has resulted in helping stop over $6 billion worth of proposed development of contaminated land as noted on our two-year anniversary. The following information documents our Aerojet Chino Hills investigation and includes the latest information available about the site. This is an environmental success story involving alternative investigative journalism and the government and company working together to assure that the land is no longer a threat to the public or the environment. The work goes on by the company to remediate the land. Read more about Aerojet-General Corporation. The site was virtually inaccessible, a quality common to many such defense and aerospace facilities around Southern California, like Boeing’s Santa Susana Field Laboratory, commonly known as Rocketdyne. Several months after Collins’ articles appeared, the area north of Aerojet Chino Hills caught fire. Collins was astonished to find that the folks leading the fire fight had little information on the dangers of the facility. While watching a live feed of the fire, he hit the phones and advised firefighters of the situation they faced, which led to a change in tactics fighting the blaze. “I called the incident commander and said, ‘Do not send anybody into that facility with the intention of cutting a fire line, fighting fire or protecting those structures,’ ” a Fire Marshall told Collins. See photos of fire. Well, not so many bombs now. A year after our investigation first started, Aerojet began to intensify its cleanup activity which was estimated to cost $40 million by the Inland Valley Daily Bulletin in 2007. In April 2001, the California Department of Toxic Substances Control sent us a series of photographs of the site cleanup, including Aerojet’s accompanying descriptions. Click here to see them. In March 2002, the company asked for and received permission from adjacent Chino Hills State Park to do a surface sweep of a 200-foot wide swath in the park where the company had found shrapnel and pieces of explosives. On Jan. 17, 2003, two teenage boys sneaked into the Aerojet complex and stole 38 non-explosive artillery shells, including a 75 mm anti-aircraft projectile, and 30 and 60 mm mortar rounds from the facility. The 14-year-old boys were eventually arrested and the munitions detonated in the backyard of one of the juveniles. Aerojet promised to strengthen security measures at the facility which had been a longtime concern of Chino Hills residents. According to a June 2, 2006 Los Angeles Daily Bulletin article entitled “Aerojet Site Cleanup Enters New Phase,” it was noted that “Now Aerojet-General Corp. is beginning the next phase of the cleanup of its 800-acre facility on Monday. Waste materials will be transported off-site in covered trucks, while explosives will be detonated in a chamber that is sound-proof and environmentally friendly.” The article went on to further disclose that a class-action lawsuit with the company was settled in 2005 as noted above. Solutient professionals managed the remediation and decommissioning of this California facility used for assembly, testing, and storage of depleted uranium (DU) munitions. This project included surveying and remediation of seven buildings, ten test areas, two storage areas, and a single run-off area. The entire site consisted of 800 acres of land. An on-site laboratory was employed to analyze several hundred soil samples taken from throughout the site. Solutient professionals provided oversight for the entire DU remediation effort. A grid system was established to systematically survey and sample all areas for DU contamination. Over 250,000 [cubic feet] of soil and debris was shipped to Envirocare of Utah for disposal. Solutient personnel were instrumental in efforts to restore the California site for public use. Entered 9/17/07 – Inactive Facility. 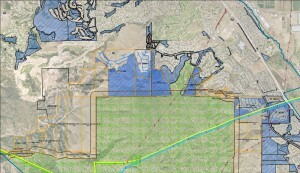 The Aerojet Chino Hills Facility consists of about 800 acres located in an undeveloped area of the City of Chino Hills. The Facility was a munitions assembly and test facility that operated from 1954 until the facility closed in November 1995. Ordnance assembled and tested at the Facility included high explosive incendiary (HEI) rounds, armor piercing incendiary (API) rounds containing depleted uranium and a wide variety of fuzes. Tear gas canisters were also produced at the facility. Most of the ordnance was small (20 mm to 30 mm size range) although rounds up to 105 mm have been found during ordnance sweeps at the facility. Solid rocket motors containing perchlorate were tested in one area of the facility. During the late 1960’s and early 1970’s the Facility conducted research and development of munitions involving proprietary organic chemicals related to mustard gas, organophosphates and glycolate esters. This testing was done in an enclosed chamber at the facility. As part of this research and development, environmental testing of organophosphate chemicals was conducted on plants in a greenhouse. Two projects are currently underway at the facility. The Open Burn/Open Detonation Unit, which operated from 1965 through 1992, is regulated under Interim Status and is currently undergoing closure. The Closure Plan was approved in December 1993, and closure field work began in 1994. Field work was completed in December 2006, and the Closure Certification Report was submitted in March 2007, and is currently under review. The second project is Corrective Action for closure of the entire facility. A consent agreement was signed in 1994 and RFI field work was conducted from June 1995 through November 1998. Twenty-nine solid waste management units and areas of concern were identified during the RFI, of which 10 required corrective measures. Constituents of concern include explosive chemicals (e.g. RDX, HMX etc. ), perchlorate, uranium and ordnance. A health risk assessment for chemical contamination concluded that the site did not pose a risk to the offsite community, and that several of the 10 areas required cleanup based on chemical contamination. The Selected Remedy included excavation and off site disposal of soil contaminated with explosive chemicals, excavation and disposal of a limit quantity of material contaminated with tear gas residue, and excavation and sifting of soil for ordnance at several areas of the facility. The Proposed Remedy was public noticed in spring 1999 and was approved in November 2000. As part of the Remedy approval, the Facility was required to conduct additional site investigation for perchlorate and explosive chemicals, prepare a health risk assessment to assess noncancer effects of depleted uranium, and develop a Community Ordnance Education Plan. Most of the Remedy has been implemented, and DTSC approved the depleted uranium health risk assessment in September 2004. The Corrective Measures Completion Report, which documented the cleanup efforts, was submitted in November 2003. DTSC reviewed this report, and required additional investigation. The workplan for this work was submitted in May 2006, and approved in August 2006. Field work has been completed, and the report documenting the field work was submitted in November 2007. DTSC provided comments on this report in March 2008. Aerojet has also conducted surface and subsurface water sampling to monitor the levels of perchlorate and explosive chemicals remaining after implementation of the Corrective Measures. Reports have been submitted in 2005, 2006 and 2007, and DTSC has previously reviewed the 2005 and 2006 reports. . DTSC provided comments on the 2007 report in April 2008. In July 2004, DTSC approved the Workplan for the Geophysical Prove-Out (GPO) Demonstration. The purpose of the GPO is to demonstrate the effectiveness of the geophysical equipment used to detect ordnance at the facility. GPO field work was conducted from August 9, 2004 through August 27, 2004. The report documenting the results of the GPO was approved in October 2005. From 2005 through 2007, the Facility developed a Conceptual Site Model (CSM) for ordnance. This model incorporated the results of the GPO and evaluated the site ordnance cleanup in light of the results of the GPO. DTSC reviewed the report and provided comments, and an updated CSM incorporating DTSC’s comments was submitted in July 2007. The CSM is a living document, and will be updated as additional ordnance cleanup activities are completed. In August 2007, Aerojet submitted a Workplan for additional ordnance sweeps to address data gaps identified in the Conceptual site model. DTSC reviewed this Workplan in fall 2007, and a revised Workplan was submitted in March 2008. DTSC approved the Workplan in April 2008, and field activities are expected to be completed in the latter part of 2008. Following completion of ordnance sweep activities, Aerojet will prepare a Feasibility Study outlining possible future land uses and any additional cleanup efforts required. DTSC will than review this Feasibility Study and select a proposed future land use. 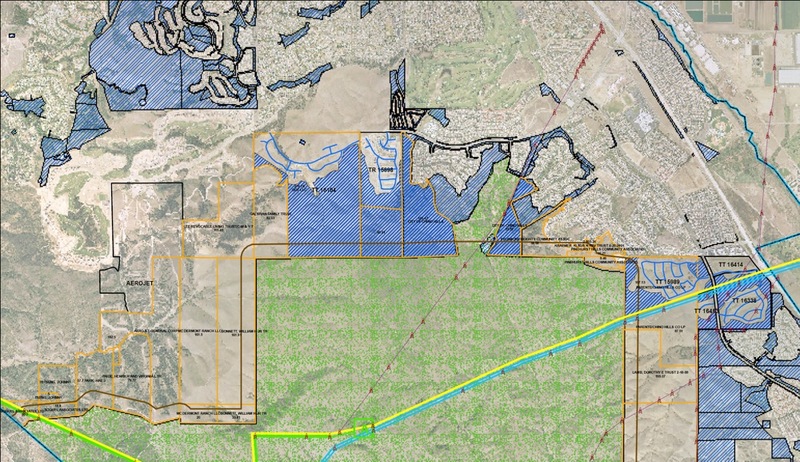 The proposed land use will then be public noticed for public review and comment. Options for cleaning up perchlorate and explosive chemicals in subsurface water will be evaluated based on future land use. The October 14, 1994 Aerojet-DTSC Corrective Action Administrative Agreement on Consent is a comprehensive 44-page report that details the contamination challenges at the Chino Hills facility. EnviroReporter.com continues to actively cover this issue and encourages our readers to submit tips regarding this site. Click here for the latest news on our Aerojet Chino Hills investigation.